Found this on-line and thought of how to recycle all that old equipment I have tucked in various closets, boxes and other places. 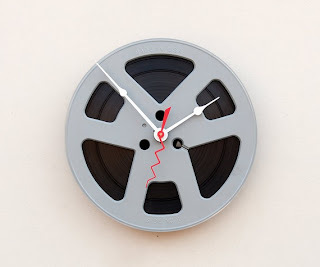 This clock was made from an old magnetic tape reel. With a new quartz drive and a AA battery, it's a great DIY project for that special geek or VO talent.